Understanding your role in the appeals process can help your client contest a lower court’s judgment. Applicants may contest improper trial procedures, or on rare occasions bring to light evidence that may exonerate them. 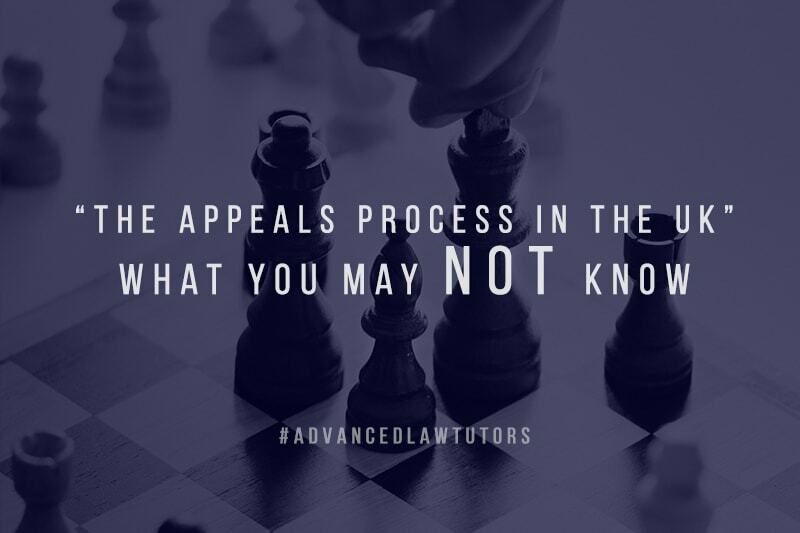 Law tutors can help you determine whether an appeal has a chance of success. Appeals may be lodged in both criminal and civil cases. While UK citizens have the right to represent themselves, the services of a qualified attorney can easily make the difference for a successful appeal. In fact, nearly 85 percent of appeals cases in the UK have claimants without an attorney. Litigants with representation often have higher success rates. While the lower court may permit an appeal, it’s unusual, as it implies the judge acknowledges that the decision may not be right. Instead, permission to appeal is granted in the appellate court by a Lord or Lady of Appeals. The grounds to approve an appear are light; however, your skeleton argument and full documentation are due within 21 days of the appeal being granted. As an appellate attorney, it’s wise to file only when you’re fully prepared to present those arguments before the court. Law tutors in London help you determine the finer points of the law to build your skeleton case and ensure you’ve secured the proper documentation for a successful appeal. In some cases, specialized law tutor training will prepare you to argue before the Supreme Court. A split decision in the Appellate Court typically allows review by the Supreme Court. However, as your law tutor will explain, these cases are generally only heard when they involve points of principle. Your studies under a law tutor London may include points of common law that allow you to help clients on appeal. In cases where the law has several penumbras, you may be allowed to argue before the Supreme Court. Professional training and a well-rounded knowledge of UK law are essential for success.